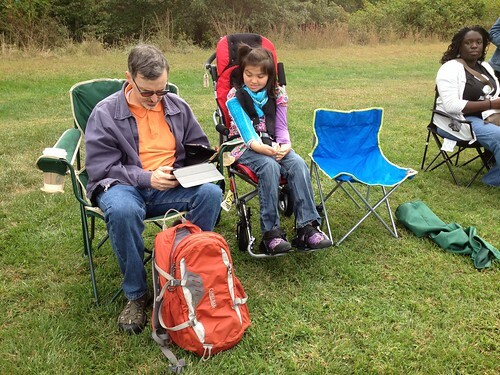 Here we are sitting on the sidelines of Vince's soccer game. I love this soccer league - it really is a rec league. One practice a week, one game a week for about 6 weeks.